As followers of our addenda and corrigenda will know, our books are never finished just because they’re in print. More information comes to hand, or a different interpretation springs to mind, or a reader makes a constructive comment or points out an error (or we find one ourselves), at which we report new data or insights, or post mea culpas, on our website – if not always as often as we should. 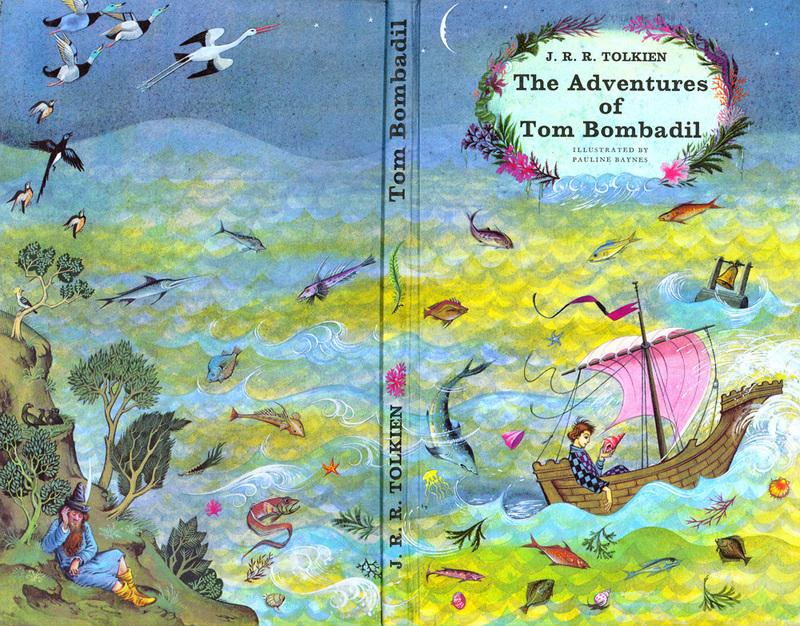 Now and then, we also have to create an addenda and corrigenda page for a new publication, which is the case for our edition of The Adventures of Tom Bombadil and Other Verses from the Red Book, published by HarperCollins U.K. this past October. In a blog post of 2 November, John Rateliff felt it unfortunate that The Dragon’s Visit and Kortirion among the Trees (i.e. The Trees of Kortirion), two poems Tolkien considered for his 1962 Adventures of Tom Bombadil collection, were omitted from our new edition. We had, in fact, debated whether to include them, but after consulting with Christopher Tolkien and HarperCollins we decided to leave them out. We had a sense that the book was already thick for a ‘pocket’-sized volume, and the lengthy Kortirion alone would have added many pages. Although a valid argument could be made for including the two extra poems as part of the documentary history of the collection, we were worried about space, and both of the omitted poems are otherwise readily available, the first most conveniently in The Annotated Hobbit and the second in The Book of Lost Tales, Part One. We did choose to include the brief Once upon a Time, because it features Tom and Goldberry, and as part of our commentary, the even briefer poem An Evening in Tavrobel, in which ‘tiny faces peer and laugh’ in the manner of the ‘lintips’ of Once upon a Time. John Rateliff is ‘dubious both on the merits of [An Evening in Tavrobel] and its connection between the two’; we and Christopher Tolkien feel that there is a strong possibility of a connection, or at least the one presents an interesting analogy to the other, as proposed years ago by the Tolkien scholar Rhona Beare. One of the earliest decisions we had to make about our edition was whether to return poems 11 and 12 to the order in which they appeared in the first Allen & Unwin printing (Cat, then Fastitocalon), or to retain the reversed order (Fastitocalon, then Cat) begun in the second printing (to correct an awkward placement of art) and followed in all other printings and editions; and if we were to do the latter, whether we should correct the references Tolkien made to poems 11 and 12 in his Preface, which were not altered when the order of the poems was changed. Again we consulted with Christopher Tolkien, who agreed with our view that we should retain the more familiar order and comment on the changes or lack thereof. We also concluded that since there is no discussion in the Tolkien–Allen & Unwin archive of whether to emend the Preface, and since Tolkien’s prefatory comments on poems 11 and 12 could still apply to them, if not as aptly, even with the revised order, we would leave the Preface as it was originally published and explain the problem in our annotations. We knew while we were writing our text that this edition (except for its endpapers) would not be illustrated in two colours like the 1962 collection, HarperCollins having found that this would not be possible if the book was to be sold at a reasonable price; and it may have been because of this that we did not describe to the extent we should have the problems caused in the original edition by an economy measure which restricted two-colour printing (black and orange) to one side of each sheet, with the other side printed only in black. On p. 231, we mention that the full-page, two-colour illustration for Cat was placed on the two-colour side of the sheet, but awkwardly within the text of Fastitocalon. At the same time, as we failed to mention, the illustration for Fastitocalon (p. 92 in the new edition) in which the giant turtle-fish upends the people who have landed on its back, thinking it an island, was also originally on the two-colour side of its sheet, and had orange flames rising from a campfire. When, after this printing, Fastitocalon and Cat were reversed in order, so that the large illustration for Cat was now correctly associated with that poem, the turtle-fish picture for Fastitocalon had to be moved to the other side of its sheet, where it was no longer printed in two colours and the ‘flames’ disappeared, leaving only rising smoke. Even though the art in our new edition is printed only in greyscale, we expected that the ‘flames’ would be present in this picture – in grey rather than orange – but they are still absent, which is very curious as we supplied high-resolution colour images of all of the illustrations, made from the first printing of the 1962 book, where the Fastitocalon picture was complete. We can only think that someone at the publisher or printer referred to the same picture in a later printing, with the ‘flames’ absent, and took this to be the correct state; and we now see that there are no ‘flames’ in the picture even in the reproduction in the original Poems and Stories by Tolkien (1980), in which added colour was printed on both sides of the sheets, without restriction. John also notes one certain error: on p. 24, we write that The Sea-Bell was not included on Tolkien’s Caedmon recording Poems and Songs of Middle Earth. In fact, it is included on the record, but omitted from the track listing on the album sleeve. In Mythlore 124, published after we submitted our Bombadil text to HarperCollins, Janet Brennan Croft suggests another possibility for the ‘earth-star’ mentioned in Once upon a Time: ‘The daisy [suggested by Kris Swank in Tolkien Studies 10] is far more likely than the fungus [i.e. one of the common fungi geastraceae, suggested by Douglas A. Anderson a blog post], as the latter closes in hot, dry conditions, not at night like the earth-stars do in the second stanza. But there may be other nyctinastic candidates that bloom in late May in the same climate and at the same time as buttercups and wild roses, such as chickweed, which has star-shaped flowers and is actually named Stellaria media’ (p. 202). 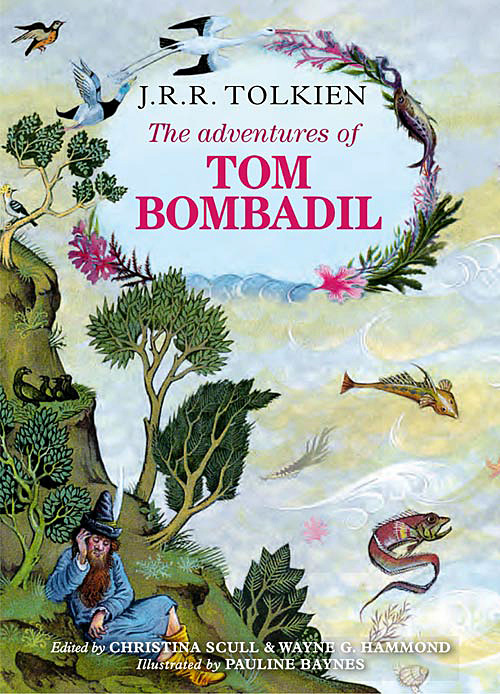 But Tom Bombadil is just as he is. Just an odd ‘fact’ of that world. He won’t be explained, because as long as you are (as in this tale you are meant to be) concentrated on the Ring, he is inexplicable. But he’s there – a reminder of the truth (as I see it) that the world is so large and manifold that if you take one facet and fix your mind and heart on it, there is always something that does not come in to that story/argument/approach, and seems to belong to a larger story. But of course in another way, not that of pure story-making, Bombadil is a deliberate contrast to the Elves who are artists. But B. does not want to make, alter, devise, or control anything: just to observe and take joy in the contemplating the things that are not himself. The spirit of the [deleted: world > this earth] made aware of itself. He is more like science (utterly free from technological blemish) and history than art. He represents the complete fearlessness of that spirit when we can catch a little of it. But I do suggest that it is possible to fear (as I do) that the making artistic sub-creative spirit (of Men and Elves) is actually more potent, and can ‘fall’, and that it could in the eventual triumph of its own evil destroy the whole earth, and Bombadil and all. Images: Upper cover of the new edition (2014); binding or dust-jacket of the original edition (1962), art by Pauline Baynes. A new Tolkien treasure to explore. The authors do a great job of keeping you updated on the editions. Wonderful stuff, as usual, Christina and Wayne – but there’s something that intrigues me: can you tell us where Rhona Beare draws comparisons between Once upon a Time and An Evening in Tavrobel? This is in an unpublished lecture, ‘The Trumpets of Dawn’; see Bombadil, pp. 284 and 289. Awesome post and thanks for the new edition of TB! Has that excerpt from the letter to Coghill been published elsewhere? I don’t think I’ve ever seen it before. To our knowledge, no part of the letter was published before, nor was the letter generally known, certainly not to us. The release of snippets of information about TB, in this manner, makes me feel as if the public is being toyed with. In your opinion are there certain ‘privileged people’ who have long known the answer? We published the extract about Tom Bombadil because (1) it came to our notice, as it could have come to anyone’s: someone on eBay last year offered a photocopy of this letter and reproduced it in its entirety; (2) it seemed appropriate to publish the extract as a follow-up to our new edition, and this was our first chance to do so; and (3) the Tolkien Estate agreed that this would be a good thing and for an appropriate purpose (the letter is under copyright, so we needed the Estate’s permission). New information like this in fact is turning up all the time. There are, of course, Tolkien scholars who know more than others about their subject, having spent many hours with archival collections, and do not always have the opportunity to publish what they’ve learned, but we don’t know of anyone who is toying with the public in the manner you suggest. I have not seen reference to it in ‘Chronology’ or the ‘Companion’ or any other of your publications – though I might have missed it. If you mean that you would like to confirm the existence of the letter, we have seen it and know its contents. It was once in the possession of Joy Hill, to whom the draft was sent when she was acting as Tolkien’s secretary; Joy was a friend of ours, she lived not far from Christina when Christina lived in London, and we spent some time with her papers and library (dispersed after Joy’s death in 1991). When we first wrote about the draft letter in the Reader’s Companion, p. 134, it was in a private collection, and we didn’t feel free to reveal its owner. It may or may not still have the same owner. Presumably, Joy made a typed letter from Tolkien’s manuscript and posted it, so that too may exist somewhere. My question was poorly phrased. Yes it was the letter’s authenticity I was most interested in and it’s provenance. Now I understand how a ‘draft’ not already in the ‘Letters’ publication is in circulation. The reason why I doubted both the letter and the statement: “I do not know his origin …”, is that it seems to clash with your interview in The Tolkien Library. There you were of the opinion that the answer to who is TB could only be definitively answered if a new letter or document came to light. The quote under discussion seems to clash with such a view. Surely, given Tolkien’s comment, one can never expect any ‘new’ written information to ever shed any light? After all, if Tolkien didn’t know his origin – how could we the public expect to ever discover his identity? Perhaps I am over-emphasizing the importance of the word ‘origin’ in relation to ‘identity’ and perhaps I am misinterpreting your position, but can you enlighten me? Nothing in this is absolute. When Tolkien wrote that he did not know Tom’s origin, he was ‘playing the game’ of speaking about a fictional character as if it were real. If he were to put it another way, he could have said that he had not written an origin for Tom, but naturally he could if he wanted to, just as he developed further ‘history’ for Middle-earth after writing The Lord of the Rings, e.g. a background for Galadriel. We don’t know that he ever did; his comments suggest that he didn’t want to; but it’s always possible that he elaborated on Tom in some unknown letter or some manuscript that has not been published. I don’t believe there is an “answer”. Tolkien introduced Tom to the story in a very early stage because he needed characters. The story changed its nature markedly as it developed, but Tolkien left the Bombadil episode in because he liked it. Writers do this sort of thing. He then declined to rationalise him in a way which fits tidily into the Middle-earth of the 1940s and 50s. Tom actually belongs to the real world of the 1920s (See the Carpenter biography). Tolkien’s remarks about the dangers of Mankind’s own creativity in action are truly spine-chilling; Tom then becomes just another private being, getting on with his own life, ultimately vulnerable to being trampled by the lust for power of other beings blessed with intelligence, brilliance and ability. People like Feanor, Morgoth and Sauron.